This city will run on renewables and absorb nearly 10,000 tons of CO2 and 57 tons of pollutants yearly. The world’s first “Forest City,” created to fight pollution, is now under construction in Liuzhou, Guangxi Province, China. 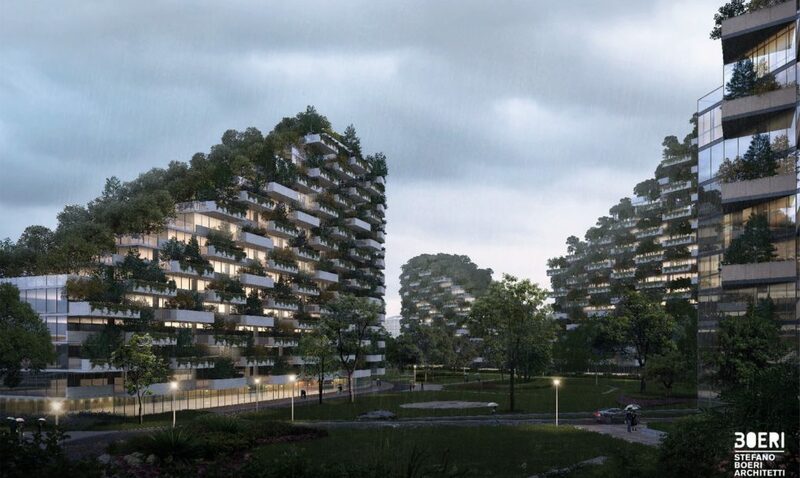 Designed by Stefano Boeri Architetti, a team that develops green projects all around the world, the futuristic Forest City will be home to a community of about 30,000 people. It will be covered in greenery, including nearly 1 million plants of more than 100 species and 40,000 trees that together absorb almost 10,000 tons of carbon dioxide and 57 tons of pollutants, and produce approximately 900 tons of oxygen annually. As a result, Forest City will help to decrease the average air temperature, improve local air quality, create noise barriers, generate habitats, and improve local biodiversity in the region. 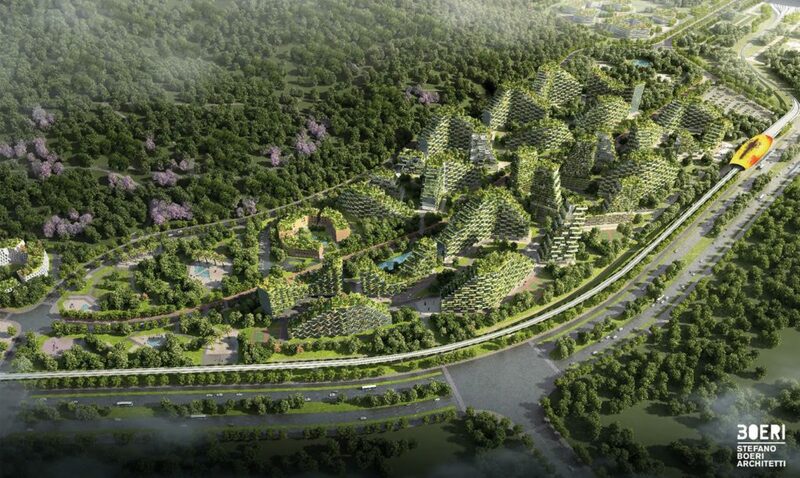 Liuzhou Forest City will be self-sufficient, running on renewable energy sources such as geothermal and solar energy. The city will also be entirely wired, and will include commercial zones, residential areas, recreational spaces, a hospital, and two schools. 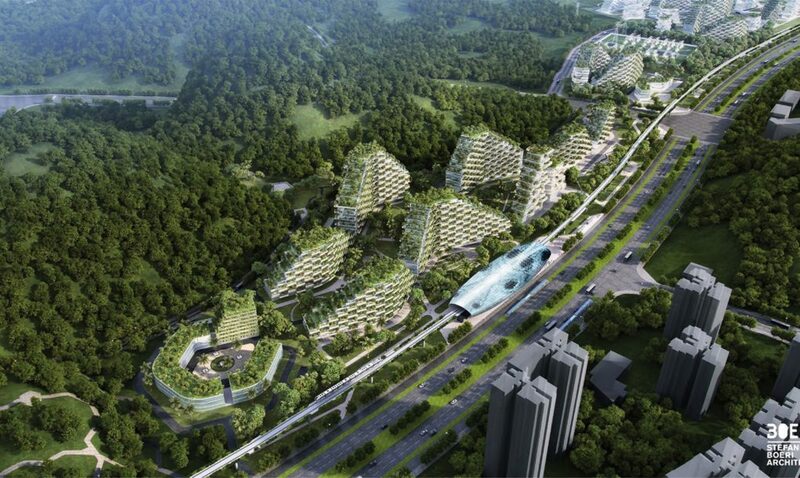 Forest City will be connected to Liuzhou by a fast rail line for electric cars. 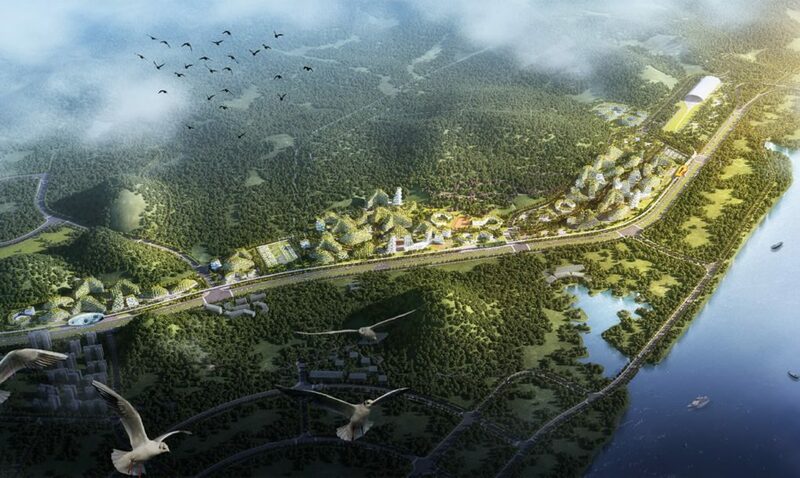 Liuzhou Municipality Urban Planning commissioned the design for the 175-hectare Liuzhou Forest City which will be situated along the Liujiang River in the northern part of Liuzhou. The project has a high profile in China and, if it succeeds, it will set an example for green city design elsewhere in the country and around the world. The project is planned to be complete sometime in 2020.